Door glass repair Brisbane glazier mobile door glass replacement & window glass replacement. DOOR GLASS REPAIR & WINDOW GLASS REPLACEMENT WE GUARANTEE OUR WORKMANSHIP. We aim to beat any genuine window & glass door repair quote, your true local glazier. 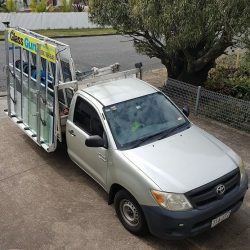 GLASS GURU HOME & OFFICE GLASS REPLACEMENT. Glass Guru mobile glass repair, offers the same guaranteed workmanship, for any faulty or damaged glass from our installation process. We pride ourselves to for top quality glass replacement. 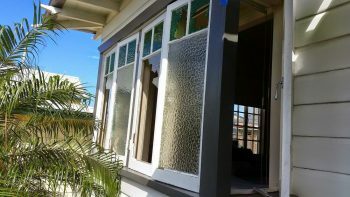 With 100 / 5 stars Google reviews, choose a Brisbane glazier you can trust in your home or office for glass repairs. Glass Guru home & office glass repair, we aim to beat any genuine quote. Need a fast door glass replacement, hubby been doing the lawn mowing & a wayward rock has shattered your glass sliding door. Immediate glass door replacement, furthermore our glass is of a top quality in clarity. Furthermore Glass Guru glass replacement guarantees all onsite sliding glass door repairs. In addition if your shower glass door breaks think of us glass guru for your shower door replacement. Furthermore all door glass repairs we fit new rubber seals to your glass aluminium door frames. Fast window glass repair Brisbane, after top quality workmanship, smashed or broken windows. We will meet your glazing requirements. Shattered window glass replacement, all glass window replacement, installed AS 1288. All broken glass replacement is safely removed with our window installation process. Furthermore we can provide & install a wide range of textured glass for your window repair. Quality glass replacement, workmanship guaranteed. All of our workmanship is fully guaranteed for all onsite glass replacement services in Brisbane & Ipswich. Furthermore you can be rest assured Glass Guru glass repair services we are licensed & insured for onsite glazing services. Emergency window repair and need a fast window glass replacement quotation, or a shattered door repair call us now. Glass Guru home and office glass replacement, we take pride in our workmanship and have our customers as our main priority. To fit within your busy time schedule for any window and door glass repairs.